If you are having surgery or are admitted to a hospital, there’s a good chance that a catheter will be part of your care and treatment. There is also a good chance that the catheter will make you sick. Very sick. Every year, tens of thousands of hospital patients develop serious and sometimes deadly infections because of improperly cleaned or maintained catheters. These infections are just one of the many kinds of Healthcare-Associated Infections (HAI) that develop in one of every 20 hospital patients, according to the Centers for Disease Control and Prevention. When serious infections and illnesses hurt a patient because medical staff failed to take the appropriate steps to ensure that a catheter was clean and properly maintained, the patient may have a medical malpractice claim. At The Rich Firm, PC, our Washington DC catheter infections lawyers provide aggressive representation for victims of medical malpractice and surgical errors, holding the negligent parties accountable and obtaining needed compensation for our clients. 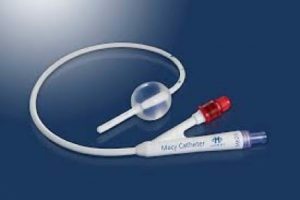 How Do Catheter Infections Happen? Hospitals are breeding grounds for bacteria and viruses, especially on instruments and other equipment that come into direct contact with patients, such as catheters. 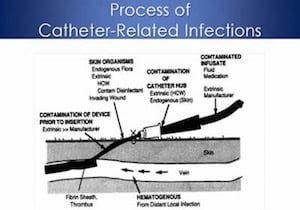 Catheter infections happen because of dangerous bacteria and germs that are allowed to develop on the catheter. These bacteria often develop because nurses or other hospital staff leave a catheter inside a patient too long before switching it out for a new one, creating a hospitable environment for bacteria to grow. Additionally, bacteria can flourish on a catheter if the staff has not followed proper hand-washing techniques and touches the end of the catheter which is then inserted into the patient. Patients who develop any of these conditions as a result of a catheter infection can wind up with lifelong and permanent damage to their urinary tract, bladder, and kidneys. This in turn can require expensive medications, specialists, and additional surgeries to treat these serious health problems, including the potential need for kidney dialysis or transplant. As noted, many catheter infections are easily preventable so long as nurses and staff follow accepted procedures for cleaning, replacing, and handling catheters. But that doesn’t always happen. When a catheter infection is caused by hospital staff negligence, it may be the basis for a medical malpractice lawsuit that can lead to an award of damages for medical expenses, lost wages, pain and suffering, and more. Call The Rich Firm, P.C. today to find out how we can help: 888-RICH-LAW (742-4529). We zealously advocate for the rights of medical malpractice victims. We can help you get justice. There’s no up-front money from you. If we take your case, we only get paid if we successfully litigate or settle your claim.